A persistent stereotype of consultants is that of experts who have all the answers. However, the more complex problems are, the less consultants are able to provide ‘magical solutions’. Causal loop diagrams (CLDs) are a powerful tool to deal with issues characterized by content complexity and process complexity. Content complexity requires working systemically by unraveling the underlying dynamic behind a multitude of symptoms. Process complexity requires working interactively because contributions from different sided are needed to understand and address the issues. Where standardized models are of little help here, CLDs support a systemic and interactive approach. In the first part of the chapter, technical ‘rules of thumb’ are discussed to capture systemic dynamics in a CLD. A five-step approach is outlined, explained and illustrated that enables even non-experienced diagrammers to get going. In the second part of the chapter three contrasting approaches are outlined to involve people in making and using diagrams, each illustrated with a case example. 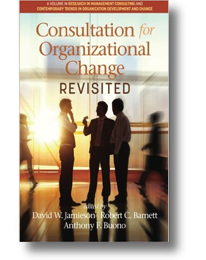 The overview can assist change agents in choosing what change approach suits their case best. I argue that powerful diagramming requires sufficient understanding of its technical and its intervention aspects. It allows CLD’s to be a consultant’s tool congruent with a shift away from the expert identity. The text received the Benedictine University Award for best Experience-based paper at an Academy of Management European MCD Conference before it was revised as a chapter for this book. A separate text is available published in a book on interactive interventions that expands on the intervention aspects of working with causal loop diagrams.